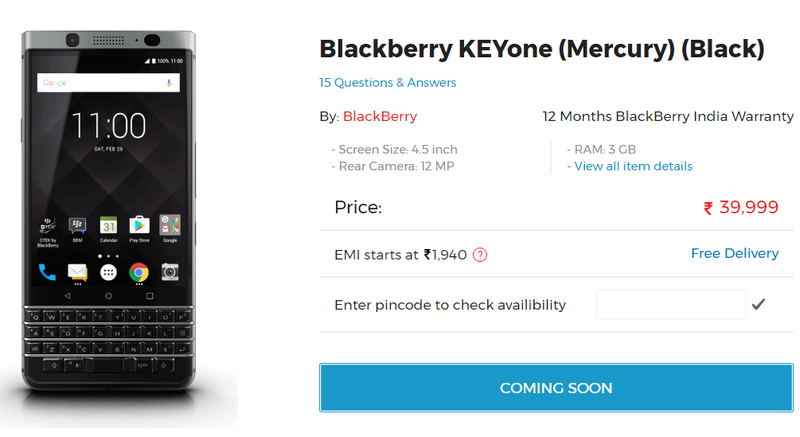 BlackBerryOS.com - BlackBerry Mobile Expected To Launch KEYone In India! OnlyMobiles.com is operated by eParisar Tech Pvt. Ltd. and serves customers in as many as 12,000+ pin codes in India. Will you be picking up the KEYone in India? Let us know in the comments below.